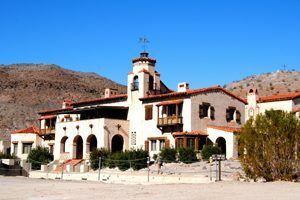 Albert Mussey Johnson was the builder and owner of Death Valley Ranch, known today as Scotty’s Castle. Johnson was born May 31, 1872, into a wealthy Quaker family in Oberlin, Ohio. Albert H. Johnson, Albert’s father, was a wealthy banker and financier, with investments in railroads and quarries. After finishing school in Oberlin, Johnson entered Cornell University in 1892 and earned a degree in civil engineering. 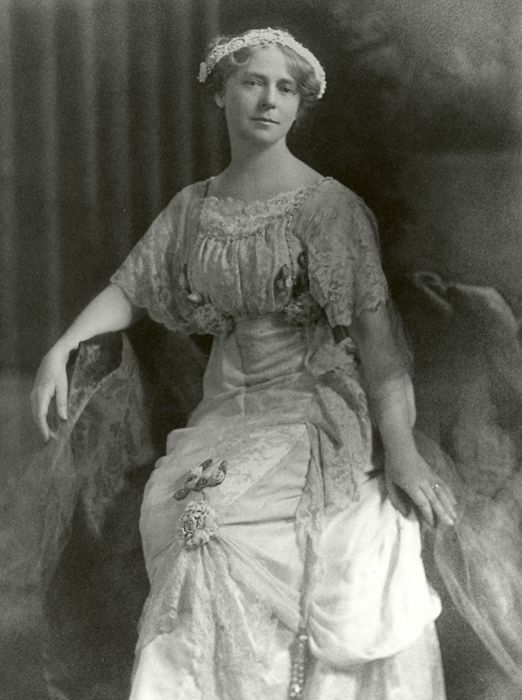 While there, he met and became engaged to Bessie Morris Penniman, who had transferred from Stanford. The two were married on November 19, 1896, at Bessie’s girlhood home, Shadelands Ranch, near Concord, California. The newly married couple moved into a small home of their own not far from Oberlin, where Albert began work with the Platform Binder Company. Later that same year Albert borrowed a sum of $40,000 from his father to invest in mining operations in Joplin, Missouri, an area then undergoing an economic boom due to the discovery of zinc. Within a year Albert had received a 500% return on his investment. From 1888 until 1889 Albert worked with the Arkansas Midland Railway, a company his father partially owned. From 1897-98 Albert was secretary and manager of the Mussey Stone Company, another company partially owned by his father. In December 1899, Albert and his father were traveling through Utah and Colorado inspecting the potential of several new possible enterprises, principally those related to mining and power generation. During one leg of their journey, the two men were aboard a train that collided with another. The elder Johnson died instantly while Albert suffered a severely broken back. For the next 18 months, Albert was bedridden and basically immobilized. Some doctors did not believe he would live past his 40th birthday. Although he would ultimately survive well past the age of 40, the accident left him crippled for the rest of his life. He walked slightly stooped over and with a noticeable limp, due to a baseball-sized callous that developed towards the base of his back. The injury motivated him to have furniture custom-designed, so as to be more comfortable and easier to stand and to wear clothing that was slightly oversized so that his callous would not show. One account mentions that he even had some bathroom fixtures specially designed to accommodate his back. Scotty’s Castle, Death Valley, California, Kathy Weiser-Alexander. North American Cold Storage Company. The latter was a warehouse operation that bought and sold commodities, primarily butter and eggs. 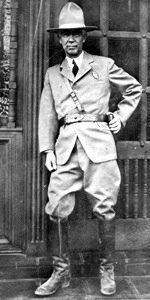 In November 1916, Johnson moved to a new and more splendid home. Built at a cost of $600,000, this marble mansion sat on the shore of Lake Michigan. Both Johnson and his wife were intensely religious, adhering to strict fundamentalism. Neither of them drank, smoke, played cards or attended the theater. In 1904, Walter Scott was in Chicago seeking backers for his legendary gold mines, and E. A. Shedd and Albert Johnson invested. 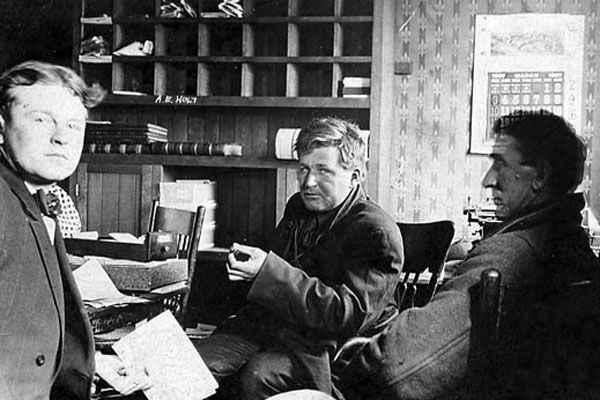 Despite receiving no return on his investment, and even after the person he sent to the desert to check on Scott reported that there was no gold mine, Johnson continued to invest in Scott. 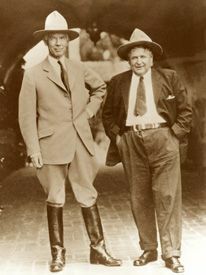 In 1909, Johnson himself went to California to visit him. Although he found nothing in the way of gold mines, the dry weather and outdoor life proved beneficial to his health. Johnson made repeated trips to visit Scott in the desert and by the time he realized that there was no gold mine, he had started to acquire land – eventually some 1500 acres. Nestled in a spring-fed verdant valley, this was soon to be the site of Death Valley Ranch, known today as Scotty’s Castle. Johnson’s business interests prospered in the 1920s, as reflected in the construction activity at the ranch. In the 1930s, Johnson’s fortune declined, although he was never a poor man. He moved from Chicago to Los Angeles and spent more time at the ranch. At his death in 1948, he willed most of his fortune and property to the Gospel Foundation, an organization he had founded the previous year.